Has to be top on my list, mostly because I’m one of under 1 million viewers that actually caught the show on a regular basis. Ted Griffin, writer of Ocean’s 11, created a buddy cop/detective show that was both somewhat a procedural but mostly a character drama that featured two scrappy, down-on-their-luck detectives with a combination of personal issues that by no means took a side note to their episodic cases. Donal Logue and Michael Raymond James brought an incredible chemistry to Hank and Brit’s relationship – a former cop in Logue and a former criminal in James, finding each other in times of strife and establishing a great partnership, solving crimes that the cops can’t always achieve. The show’s sole season also involved a season-long arc involving a corrupt lawyer and a detrimental land-grab going on in the show’s setting of Ocean Beach, California. What I enjoyed about the show was never the episodic cases themselves, but how well the show showcased the emotion and drama of these characters and their loved ones. This dynamic was solidified when Brit’s girlfriend Katie has a drunken one-night-stand with her professor, and is instructed by Hank to keep it under wraps, for fear of ruining a growingly serious and permanent relationship (Brit had been anticipating proposing to Katie in the episodes leading up to this infidelity). A few episodes later, after Brit had proposed and Katie accepted, the truth comes out as Katie reveals her secret with Brit, and to the chagrin of both characters, and the (small) audience who had been pulling for them to figure out the issue, Brit breaks off the relationship, leaving both characters in tears. Hank on the other hand had been dealing with his own issues – his ex-wife Gretchen had just remarried, and trying to hold onto their former life, started the series off by purchasing their old house from Maggie. Jealous and still in love with her, Hank had a buddy do a background check on Gretchen’s fiance, which after Gretchen finds out, gets him uninvited from the nuptials. All in all, the show did a great job of creating sympathetic characters with huge flaws, and followed them through this strong partnership as they tried and often failed to help each other out in their times of crises. The series ended on a question mark, but not one that left the few viewers guessing and upset about the show’s demise. Hank was driving Brit back to the police station after Brit had been arrested for beating up Katie’s classmate, who he mistakenly thought was her cheating lover. As the series came to an end, Hank comments to Brit as they sit at a traffic light – he can continue to go straight toward the police station, and Brit goes to prison. Or he can turn left and they can book it down to Mexico, hide out together. Which will Brit choose? The episode fades to black leaving the question unanswered. As viewers and Griffin mostly agree, Brit decided to take the prison sentence, as he had begun patching things up with Katie, and has the promise of her waiting for him after he gets out. We know that he’s in love with this girl and would wait in prison so he can have her back. We don’t need Griffin to tell us this in post-series interviews. FX really hit it out of the park this year, and I promise the next few descriptions won’t be as long as the first one. 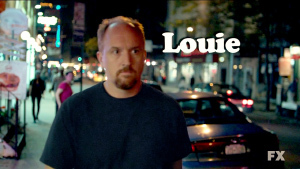 Louis CK, a highly respected and well-disciplined genius of comedy in the past few years (although he had been doing standup for around 20 years, as if often the case), was given a six-figure-per-episode budget and carte-blanche slate to create literally whatever he wanted as his TV show. What resulted was a combination of 13 short films featuring a self-deprecating, semi-depressed, divorced father of two young girls who also happened to be a hilarious comedian. Most of the episodes focused around one particular bit of his, from his relationship with his two daughters, to his foibles and follies on the dating scene. But every few weeks there came across an episode with little-to-no comedic moments, save from the Seinfeld-ian bits of Louis doing standup at the Comedy Cellar in New York. One episode in particular that struck viewers was his episode simply titled “God,” which featured a young Louis CK in catholic school, learning about Jesus and how he died for our sins. Stepping outside of the familiar bounds of a comedy-through-awkwardness, “God” provided a fearful insight into the mind of a child learning about the graphic demise of Christianity’s Lord and Savior. This episode proved not only that Louis wasn’t afraid to take risks with this show, but show that a comedian doesn’t always have to be ha-ha funny all the time. 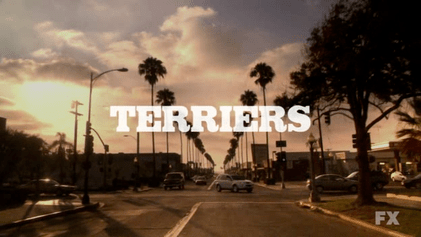 Looking forward to the show’s second season in 2011. So many zombie-movies, but never an episodic show about them? Walking Dead filled that gap, and while there were only six episodes in the first season, it showed that yeah, it’s about a zombie apocalypse. But they’re not the focus of the series. Rick Grimes, a southern police officer wakes up after being in a coma caused by a gunfight to find that a disease has taken over the world and “woken up” those who have died from it, as they now walk the world, hungry for human flesh (You know the deal with zombies). Rick, like many other characters from zombie films, aims to find his family and make sure they are safe. He hears that Atlanta has a safe zone, but to his surprise when he arrives there, it has already been overturned by walkers. Saved by a young kid in a group of fellow survivors, Rick helps them get out of dodge and meet back up with their crew, hiding out safely by the side of the highway, camped out near the woods and a conveniently placed lake. The Walking Dead focused on the relationships between these survivors, most notably how Rick’s former partner Shane, was now sleeping with and caring for Rick’s wife Lori and son Carl. The show did a great job of balancing the character drama it focused on, while keeping up the excitement and horror of impending zombie attacks on the characters, as they were run out of their camp after a few episodes. Just six episodes, the show had some issues creating a strong season arc, but with a full season 2 order on the books, next season hopes to have more of a prominent storyline. Not exactly what you’d expect to be on this kind of list, but I can’t cut him out of a Best of Television list (and you’ll see he’ll feature on my Best Episodes list). After 9 months of being off television after a highly publicized and polarizing exit from his longtime employer NBC, Conan came back with a vengeance in a risky move, jumping onto a well-established but image-less basic cable channel. So far, the marriage has been successful, as much as they can expect, and as a viewer and longtime fan of his, I have been pleased with the content they’ve put out over the past couple months. Conan and crew seem to have back the confidence to do whatever they want, no matter how ridiculous the premise, which they often appeared to lack on his version of The Tonight Show. Whereas his move to 11:35 at NBC came with an iffy “we’re not that sure about this” sentiment from NBC, wanting to keep Jay Leno on the network and moving him to 10pm, which may have been a burden on Conan’s confidence going into the job, TBS now seems to have given him their complete confidence and support, letting him do what he does best and hoping that it puts them on the Late Night map. As a full-fledged member of Team Coco, I hope and fully expect this to be a solid success for both parties. Almost forgot about this one (thank Andrew), but to be honest, I was into the show in the beginning, then thought it fell off a bit toward the middle. I believe it ended strong, and think it’s too well done and well-acted not to put it on the list. 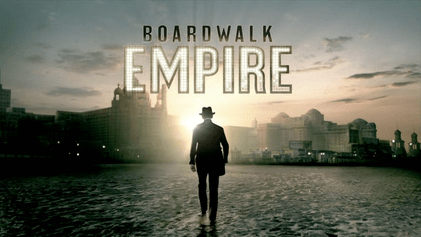 With a pilot directed by Martin Scorsese, and a concept well within his grasp, a period gangster crime drama, Boardwalk focuses on the prohibition era of Atlantic City, a town run by Treasurer Nucky Thompson, played by Steve Buscemi. While I like Buscemi, I had a tough time believing him as a bigger-than-life crime boss, considering his historically quiet demeanor and shorter stature. However, he did the best he could and was helped by a great ensemble of actors, including Kelly MacDonald as Margaret Shroeder, a young Irish mother, widowed after the first episode, and subsequently taken care of by Nucky himself (who ordered the hit on her late husband). Also filling out a strong cast is Michael Pitt, who plays James Darmandy, a thug of Nucky’s until he takes it upon himself to attack a caravan smuggling booze back to New York. He gets run out of time because of the incident, leaving his wife and kid alone with his mother. The main plot of the season followed Nucky’s crime gang as they continually get attacked by rival gangs. The small details are too much to get into here, but what I enjoyed was the look and feel of the show, plus the inter-character relationships. The season finale summed up a season’s worth of character development and strife, especially between Margaret and Nucky, but didn’t necessarily leave much in question. We’ll see how the second season picks up, I think the first season gave us a good basis for these characters and the era. Honorable mention – Rubicon (AMC) – another short-lived show, this time a slow-moving spy drama featuring 24 alum James Badge Dale (Damnit Chase!) as a data analyst for a fictional government spy agency. The show focused on conspiracies surrounding the leader of this agency and his childhood buddies/colleagues/powerful business executives. Will Travers is promoted to department head after the unfortunate but suspicious death of his father-in-law and mentor David Hadas. Will spends the entire series trying to put the pieces of the puzzle together and understand why David died and what he had learned about their boss, Truxton Spangler. At the same time, Will’s analyst team attempts to find a middle-eastern terrorist in order to prevent another attack on American soil. The season’s climax resulted in a failure to capture this terrorist before the attack, which took form of an explosion on an oil tanker in the gulf, well-timed with the rel life oil crisis over the summer (well, a couple months after that disaster, but still a relevant topic to capture). The show doesn’t make the proper list, because it was slow-moving and didn’t take off until the last few episodes, and I was a bit unsatisfied with the ending. Will confronts Spangler on the rooftop of their building, but the climax seemed to have already passed, and nothing solid is really embedded into the viewers minds. Perhaps if a second season had happened, we’d get more of a conclusion to this dramatic tension. That was fun, coming up really soon (like, I’m going to write it after I post this) will be my list of best episodes of 2010. This will feature episodes from both the current season (fall 2010) and end of the previous (Spring 2010). So expect multiple entries from some shows.